▶ SoldThis listing was sold on Oct 23, 2017 for the price shown here. 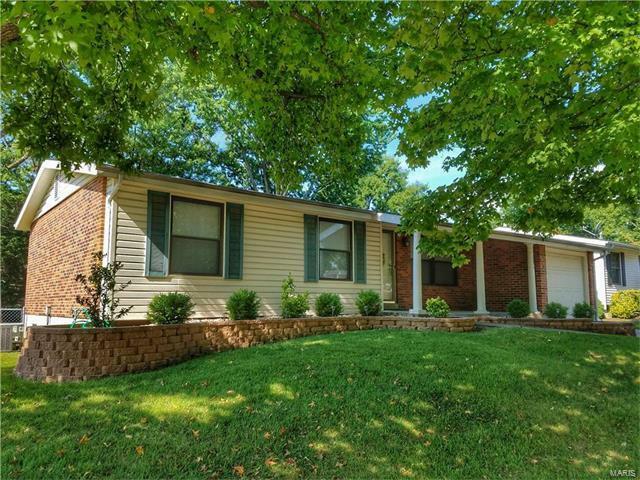 Conveniently located in South County, this 3 bedroom, 1.5 bath ranch home has been very well maintained by long time owner & offers a spacious open floor plan which includes a large updated kitchen! You will FALL IN LOVE with this gorgeous Kitchen featuring 42" cabinets, silestone countertops, stainless appliances, under cabinet lighting and more! The finished lower level with family/rec room, half bathroom, laundry, plus plenty of room for storage. HUGE patio spanning the whole length of the house! Storage shed and fenced yard! Don't miss out on this opportunity to move into this well loved ranch home. Telegraph to Sappington to left on Bridget to Dekamay to Ringfield.